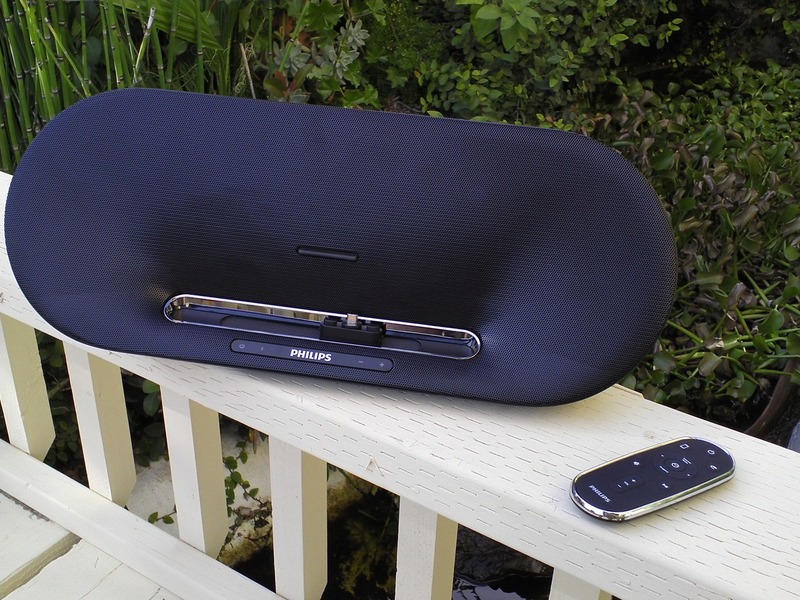 Today, I'm taking a look at the Philips Fidelio AS851 (yes, that is kind of a lame name), Philips' top-of-the-line Android speaker dock. How can a speaker dock be designed for Android, you ask? Well, Philips realized that their popular line of iPhone docks could pretty easily be converted to be Android friendly by changing the dock connector to a microUSB connection, and releasing the Fidelio app for Android handsets. We'll get into the app a bit later. 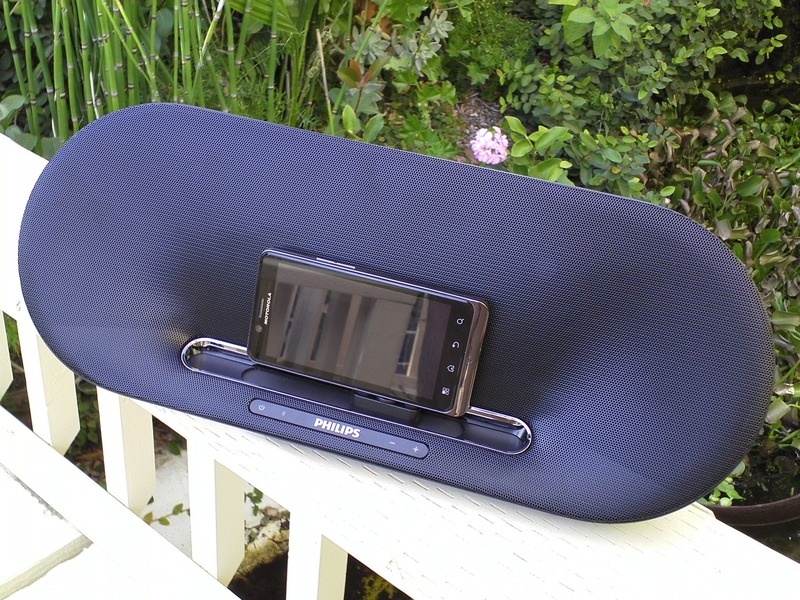 I'll just say it now: Philips has set the bar for speaker docks with this device. 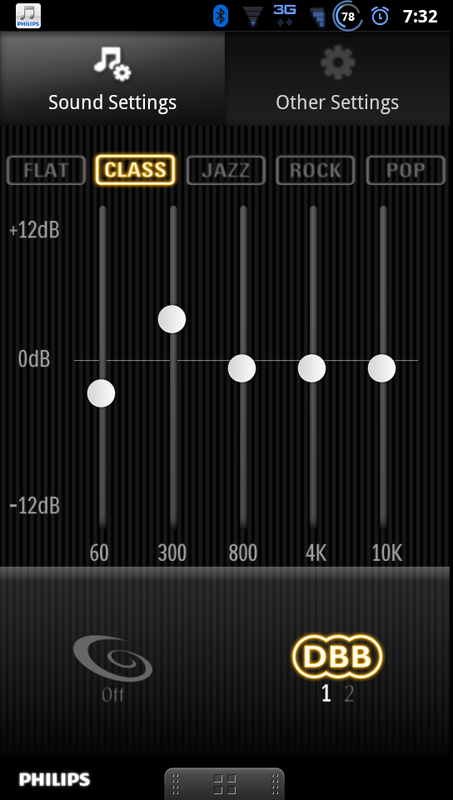 The AS851 sounds amazing, has a convenient IR remote, a decent Android app (with a 5-channel audio equalizer! ), and it's just a stylish piece of kit. While the AS851 does have a few flaws, those shortcomings can't bring down this otherwise fantastic audio accessory. Philips Fidelio app with internet radio, Songbird integration, and 5-channel audio equalizer. The sound from the AS851 will honestly leave you floored. The tight bass response and loudness of this thing belies its deceptively low 30W output rating, it can really fill a room. Of course, it does weigh about 5 pounds. Wireless Bluetooth audio means even when you're not docked with the AS851, you'll still get crystal clear sound - that makes this thing great for watching movies on your tablet or phone from afar. The swivel and slide action on the mUSB docking port ensures the AS851 can accommodate any Android phone, no matter where its USB port is located, and can be adjusted such that any phone will sit in a centered position in the dock. The Fidelio app has a built-in equalizer, internet radio, and a convenient dock home screen that displays the time, date, and weather quite stylishly. The IR remote control is a nice convenience. Rear USB port means you can charge more than one device at a time, and the 3.5mm jack means Bluetooth isn't a requirement. The Fidelio app isn't exactly coded perfectly, and is a bit slow at times (especially with internet radio). The Fidelio app also has memory issues - as in, it doesn't seem to remember settings after a reboot. The IR remote doesn't always play nice with other music apps (such as Pandora or Amazon MP3), and sometimes won't resume when pressing play after an earlier pause. There's no way to see what the volume level on the dock is. $200 isn't cheap, though it's not unreasonable for what you're getting. As I said previously, the AS851 provides truly outstanding audio - but how outstanding is outstanding? Well, for my daily listening, I use a pair of Klipsch bookshelf speakers that have an output of 100 watts RMS apiece (that's a lot). While the AS851 can't get as loud, at normal to slightly above normal listening volumes, I honestly forgot that I was listening to the dock at times. It's that good. Most docking speakers give themselves away with tinny highs, buzzing bass, or an unnaturally punchy mid-range. The Philips AS851 is balanced, and that's probably the most important characteristic of any audio device if you're using it for music listening. Philips claims its DSP (digital sound processing) has been configured to preserve, rather than "enhance," the quality of audio when it's played back. I can't tell you how refreshing it is to use a speaker that I don't have to "tweak" to get music sounding the way I want it. I can hear with surprising clarity all of the little details in my favorite songs without having to crank the volume to the moon, and in my book, that's one of the marks of a great speaker. Philips claims the curved design of the AS851 provides superior acoustics. If you're an audiophile, you probably share some of my concerns about the merits of Bluetooth A2DP as a medium to transmit audio. Wireless is kind of sacrilege for the sound-faithful. Bluetooth A2DP basically emulates the quality of a 192kbps MP3 (at least), depending on the driver stack. I've never been able to hear the difference between 192kbps and 320 or lossless, so for me, Bluetooth A2DP doesn't disappoint. I haven't experienced any interference or connection issues, either. Of course, if you're a die-hard about wired sound, the included 3.5mm jack will ensure you get your 100% good old fashioned copper-transmitted audio fix without any new-fangled wireless witchcraft getting in the way. One analog feature the AS851 does lack is a volume level indicator, so you're never quite sure how loud it'll be the next time you power it up. It's a minor concern. But for sound, the AS851 will be a difficult feat to top, even from the likes of Bose. Charging on the AS851 was very quick, I'd say slightly faster than my wall charger when I used it to juice up my BIONIC. It's also just a lot more convenient than a cable. As you can see in the picture below, my BIONIC, even with its oddly placed microUSB port, looks right at home in the AS851 thanks to the sliding dock mechanism. That was truly a stroke of minor genius on Philips' part. The hardware buttons on the AS851 all work well (all four of them), and the speaker just feels solidly put together overall. Given its substantial weight (about 5 pounds), you're unlikely to knock the Fidelio off your desk or nightstand in a fit of morning alarm-clock rage, either. And let's be honest, the thing just kind of looks sleek - Philips' minimalistic design is quite eye-catching. Unfortunately, this is one area where the AS851 is less than perfect. However, I think you'd have a difficult time finding a speaker dock that has quite the control functionality of Philips' product in the first place. Let's start with basic playback. 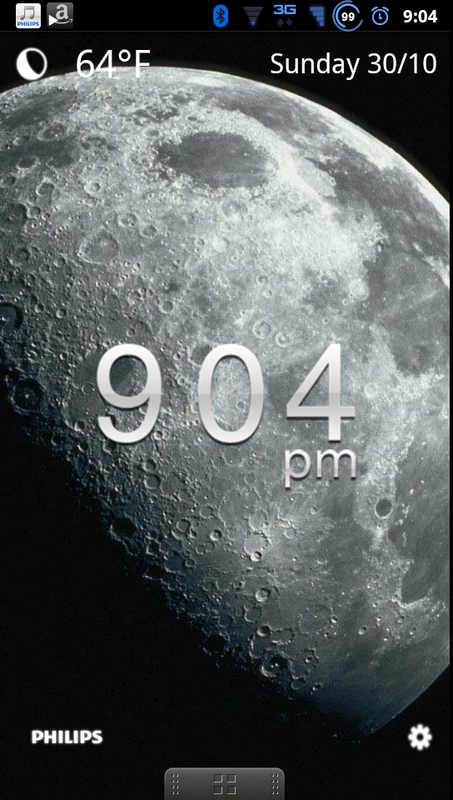 If you're not docked to the AS851, obviously your phone will act as the primary remote. Used this way, I had no issues with the AS851. The Bluetooth connection never dropped, and the range of the connection was within what I'd expect for a device like this (about 5 meters with a clear line of sight). This means you can set the AS851 on your desk or nightstand, and watch a movie on your tablet in bed without struggling with pesky wires, or batteries on a portable speaker. The IR remote ensures you won't even have to get up off your rear-end to crank the volume. For controlling the dock itself, the IR remote works great - it even has input toggles to switch between Bluetooth and the 3.5mm jack. It's when you try to use it to control a docked device that issues arise. 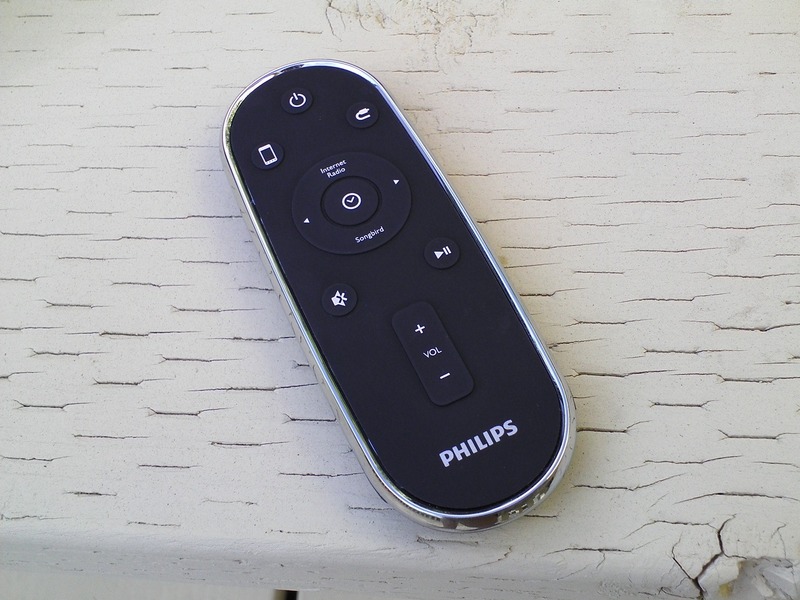 The remote, as you can see, has a number of controls for your Android device. This includes a play/pause button, next and previous track buttons, and specific buttons for going into Philips' internet radio UI in the Fidelio app, the Fidelio homescreen, and Songbird. I don't use Songbird, so I never actually got to see how the integration really works. But, I'm pretty sure it's limited to launching the app itself, and not much else - as pressing the button just provides a link to the Market page. Philips could have won me over even further by, instead of making it a Songbird button, using it as a programmable button to launch an app of your choice (Pandora, for example), or even as a programmable shortcut to a specific radio station in the Fidelio app. The IR remote also has issue playing nice with other music apps. I often found that after pausing music in apps like Amazon MP3 where the app was running in the background or with the display turned off, I couldn't resume playback. This can be annoying, obviously. Additionally, if I started playing a track in Amazon MP3 with the phone docked and let the display time out, sometimes the app would just stop playing music. Powering off the display manually seemed to prevent this issue, which was apparently limited to Amazon MP3. Philips' Fidelio app is another sometimes inconvenient convenience. For example, after rebooting my phone, the Fidelio app tends to forget the settings changes I've made (such as the app theme, EQ settings, weather location). This is annoying. As far as how the app functions, Fidelio offers a wide variety of internet radio options courtesy of TunedIn, though some of them don't stream in Android-friendly formats. The Fidelio app has a fairly polished look, though it does have slightly iPhone-ish menus, and a dated Android settings pull-up drawer. Still, it's an attractive interface, and the clock home screen can be configured for always-on mode, turning your AS851 into an Android-powered clock radio. To be honest, the app exceeded my expectations, especially aesthetically. The 5-channel equalizer works as advertised - and this isn't software equalization. When you adjust the EQ in the Fidelio app, the setting change is sent to the speaker, meaning you're getting true hardware EQ controlled through the Fidelio app. The dynamic bass boost is great when you're trying to fill a larger space with deep, resonating sound. For $200, the AS851 is a great investment if you're looking for a robust speaker dock for your Android device(s). The Fidelio app really does add value to the speaker (unlike so many other product-bundled apps), and the hardware EQ works surprisingly well. Of course, you may not even need to adjust it, since the AS851 sounds pretty damn awesome right out of the box. Its robust build quality, good looks, and flexible docking port mean you'll likely be able to enjoy your AS851 for years to come, as well. After using the AS851, I'd have a hard time buying any other dock, as I've honestly become quite attached to its wonderful sound. My only substantial complaint is the IR remote control issues with other music apps - that can be truly annoying. But honestly, I find myself generally using my phone, rather than the remote, to control playback. And that's not exactly an inconvenience. If the AS851 came without a remote, I wouldn't have had much of anything to complain about, as the lack of one would by no means be a fatal flaw. 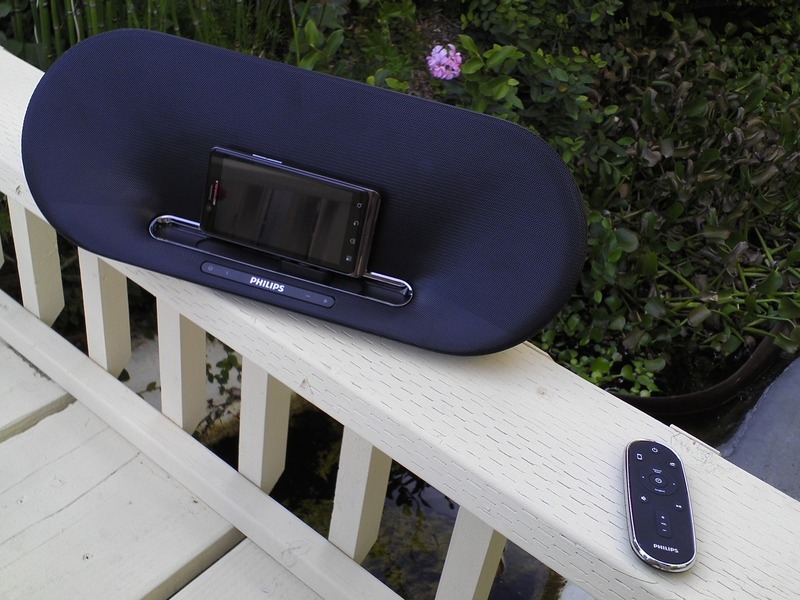 With all this in mind, I still would recommend the AS851 to anyone looking for a speaker dock for their Android phone, it's a truly superb product. The AS851 is available now, and if you buy one on Amazon, you'll even receive a $15 Amazon MP3 credit with your purchase.